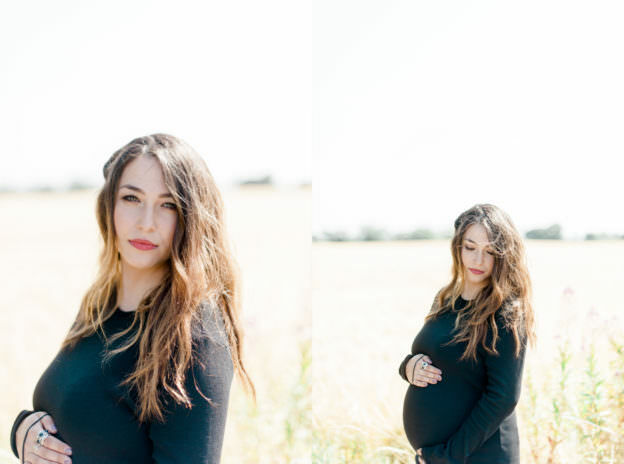 Yesterday as I drove back from shooting my cousins engagement session at ‘Brittas bay’, I passed by an abandoned car factory and behind it was this stunning crop field, instantly I knew I had to drag my 9 month pregnant wife there, lol, and get some photos. I have been taking the odd pregnancy photo every couple of months, but wanted to find the perfect place to shoot a proper session and I found it. We had a blast frolicking in the field, grace only had one top, as you do, but some photos didn’t look right so I was forced to remove my top, give to her, and put on a winter jacket, lined with wool, in 21 degrees heat, but the shots were so worth it, look how beautiful she looks. We are at 38 weeks and counting, we cannot wait to meet our son and welcome him into the world with open arms. I am one lucky man!